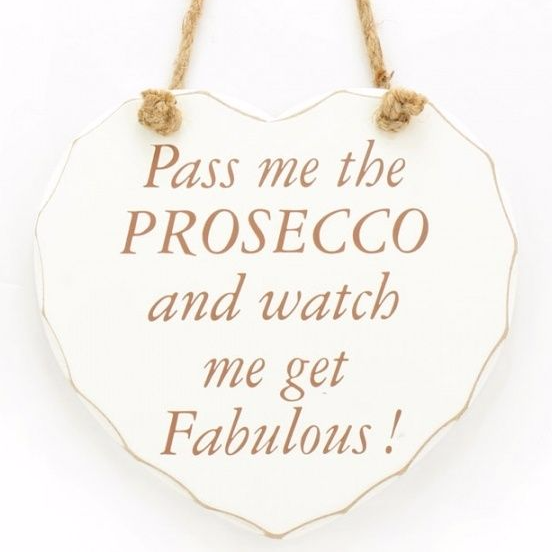 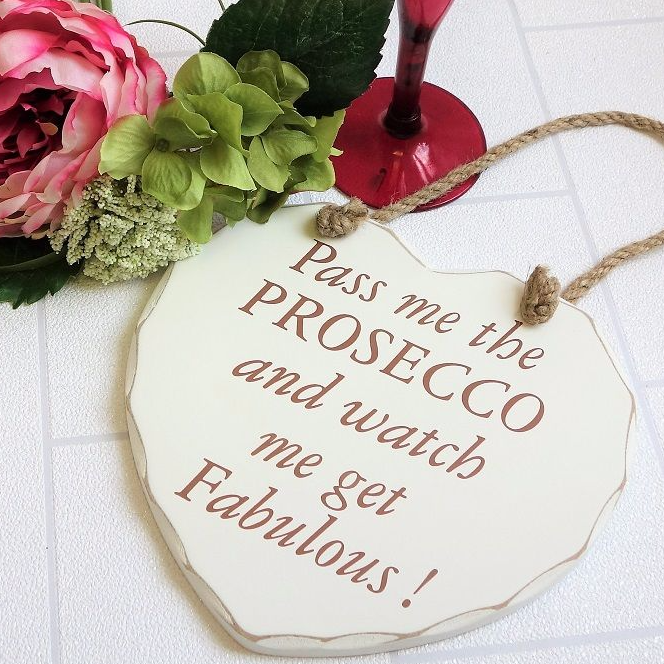 I'm sure this saying was written for at least 10 of my friends.... 'Pass me the PROSECCO and watch me get Fabulous' Great gift for the Prosecco monster in your group! 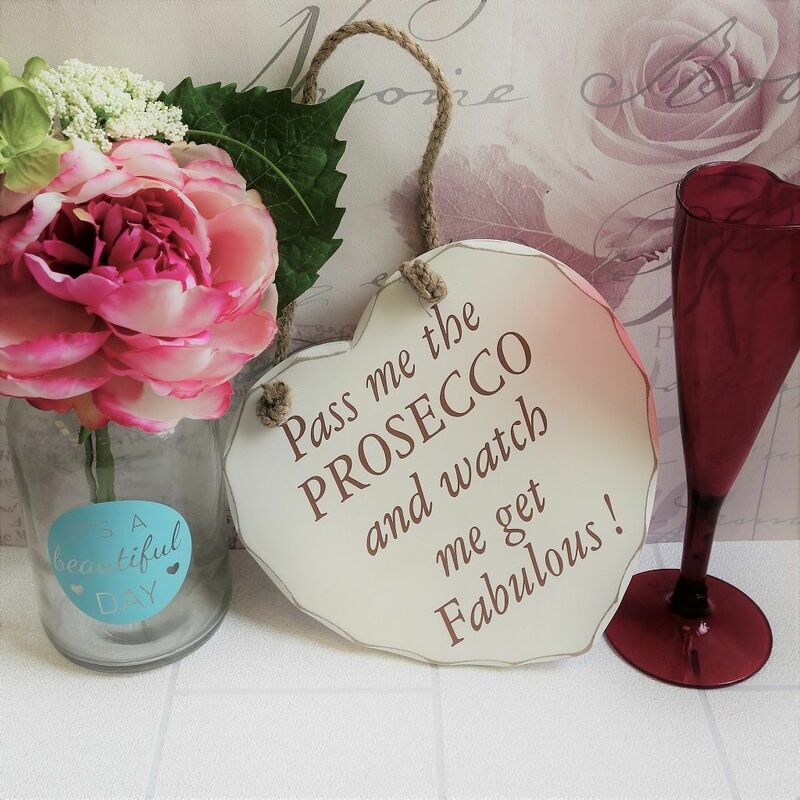 Light gold writing on ivory white distressed paint, hanging from a rustic coloured twisted rope, this is a fun shabby chic decoration. 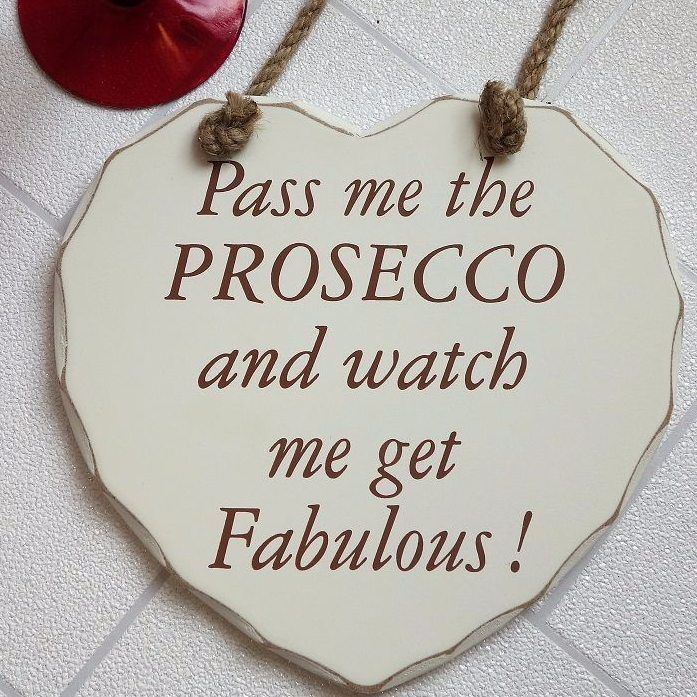 Boxed this will make a great gift.